Expo Veneto: 400 KM BY BICYCLE – FUN, ADVENTURE, INDULGENCE AND RELAXATION! Tapahtuma > 400 KM BY BICYCLE – FUN, ADVENTURE, INDULGENCE AND RELAXATION! Vineyards and olive groves, splendid views of Lake Garda and the nearby mountains, together with a mild climate for at least 9 months of the year and a great range of accommodation facilities for tourists make this place a great destination for your cycling holiday. “ALL INCLUSIVE” BICYCLE PACKAGES … help you explore the region! Experience the beauty of the area's unique landscape amidst vineyards on two wheels and enjoy its flavours, culture and relaxing atmosphere. Lake Garda is a great location from which to start exciting excursions along the numerous routes which the territory has to offer. • Individual bicycle tour without a guide, with the help of a satellite navigator that maps all bicycle routes leading from Lake Garda to Verona and the province of Mantua. The package includes a stay in a Bike Hotel (of the Europlan group or Parc Hotels Italia), where an expert biker will show you the routes that are most suitable for you and will help you choose whether to go on your own or with a guide. Guided tours include a visit to and tasting at the “Turri” oil mill in Cavaion Veronese and the “Tenuta Preella” wine-growing estate in Cavaion Veronese as well as a visit to the Nicolis museum. We offer basic and additional services for our guests and their bicycles. Our hotel boasts a bike rental, and our qualified and experienced staff is there to help you during your entire stay. The price varies depending on the season, the category of the chosen hotel and the requested services. ■ Bike rental (city bikes of the hotels). For a surcharge, to be paid on site for mountain bikes and racing bicycles. ■ Visit to the “Turri” oil mill in Cavaion Veronese and product tasting. ■ Visit to the “Tenuta Preella” wine-growing estate in Cavaion Veronese and wine tasting. ■ Luggage and bicycle transport on request and on extra charge. 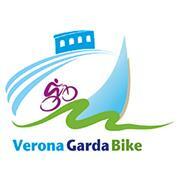 Verona Garda Bike is a network of companies which aims to promote cycling holidays in our region. It is our intention to further the use of the bicycle, to advertise regional accommodation facilities in easy reach of cycling paths, to increase cooperation with other companies in the area and to promote the region at fairs and educational events abroad. The Verona Garda Bike network was established with the help of Confindustria Verona, the Veronese section of the Italian employers' federation, on 30 July 2012. The programme set up is scheduled to last three years, with a total investment of about 300.000 €. Five companies participate in the iniative: Europlan SpA., Turri F.lli Srl, Lamacart SpA (part of the Associazione Museo Nicolis museum association), Bellatrix Srl – Park Hotels Italia and Gruppo Italiano Vini SpA. The network aims to encourage the use of the bicycle and sustainable transport, to raise awareness of regional sustainability, to further eco-friendly outdoor activity and tourism all year round. It also intends to promote the culture of the region surrounding Verona and Lake Garda, focusing on its artistic and cultural heritage, activities for tourists as well as local foods and wines. Furthermore, the network locates and advertises suitable cycle paths, working with public administration to make them easier to trace via road signage. Public administration has approved of the companies' programme from the very start. The initiative has seen the cooperation with the city of Verona and 18 comuni (municipalities) of the region.